Josh Rouse discusses his latest album, The Happiness Waltz, and the elusive magical moments in music: the balance between family and career, his long-time partnership with producer Brad Jones and what really makes a good song tick. Rouse has been crafting his own catchy, melodic songs since the 1990s, mining a soft country rock vein which he first heard on AM radio while growing up in the Midwest. His first full length, 1998’s Dressed Up Like Nebraska celebrated the stark landscapes of the Great Plains. AllMusic Guide called it a classic. He moved to Nashville in the early aughts and recorded Home there, kicking off a string of highly-regarded, urbane pop records: Under Cold Blue Stars in 2002, 1972 in 2003, his tribute to radio-friendly California rock. Rouse moved to Spain in the mid-00s, met his current wife and recorded three more albums -- Subtitulo in 2006, El Turisto in 2010 and this year’s Happiness Waltz, his tenth full-length to date. Along the way, he and his wife moved to NYC then back to Spain and had two children, now aged one-and-a-half and four. When I catch him by phone between SXSW gigs and ask the former Army brat about his newly settled, domesticated situation, he laughs and proposes yet another move. 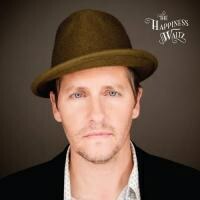 The Happiness Waltz celebrates the ordinary pleasures of marriage and fatherhood, harkening back to Rouse’s most pop-fueled, accessible material from the middle of the last decade. Rouse says his children have become obsessed with the song “This Movie’s Way Too Long” from the new album. “They have to hear it whenever we get in the car. We’ve listened to it maybe 100 times. I’m sick of the song,” he muses. Yet despite the difficulties of making music while taking care of preschool-aged children, fatherhood seems to place Rouse within a warmer, more relaxed space. “It’s really great, and they won’t be little very long,” he says. Rouse also worked with his main Spanish band, the Long Vacations, on his latest album. Xema Fuertes and Cayo Bellveser grew up together around Valencia and supported Rouse on his 2007 recording Josh Rouse and the Long Vacations. Rouse also hooked up with some old friends stateside. Daniel Cashin, his one-time guitar player and co-author of classics like “Quiet Town” and “Winter in the Hamptons”, co-wrote the first song “Julie Come Out of the Rain” during a brief stop in Nashville. Yet, finally, the work of songwriting, the balance of craft and inspiration, remains as much a mystery to Rouse as to anyone else. When things are working well, you "just know." For instance, Rouse explains, there is the last half minute of “Our Love,” a coda where the words and the music and the instruments all meld together in what he deems a nearly ideal way. “It just feels really right," he says. "I’m really proud of that moment. The last 30 seconds of that song is special."